This Open was to provide the last St Andrews champion for a decade. 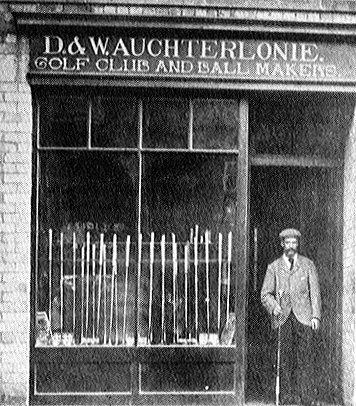 On a rain drenched first day in September, Willie Auchterlonie took the lead after the second round. He was one of the earliest to tee off in the third round in the much better weather of the second day and, after an 81, still held the lead when all had completed the round. J H Taylor, playing in his first Open, fell back after a poor third round and the likeliest challenge to Auchterlonie looked likely to come from fellow St Andrean Sandy Herd who advanced from seventh to second with a 78.